Tucson Daily Photo ~: Whisky & More Whisky! 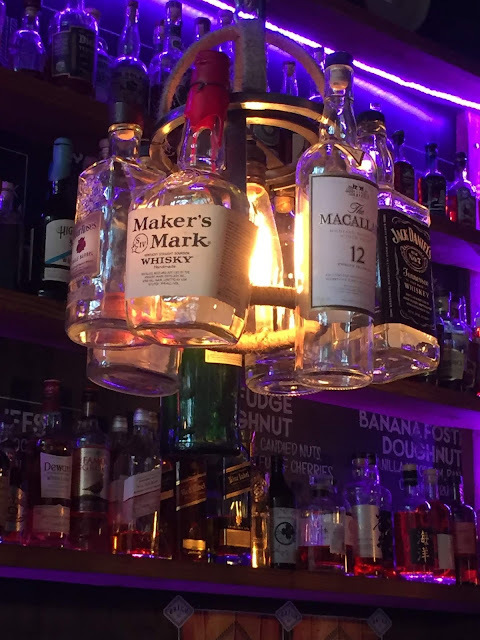 Check out the cool light fixtures at Tucson's Batch Cafe! Batch is famous for Whisky & Doughnuts so they made these cool lamps with the empties! Fun!